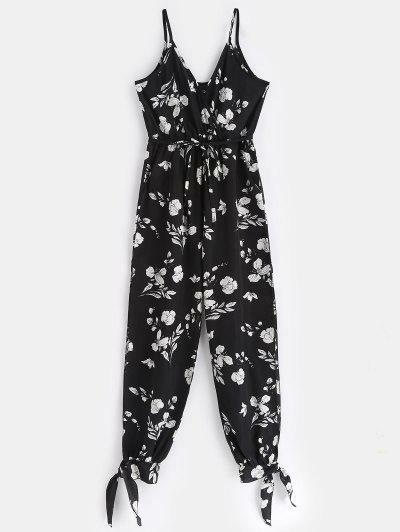 When mysterious black comes with pure florals, here comes our new flattering jumpsuit that features polished florals all over with jogger's legs accented by self-tie knots. The split sides perfectly show off the legs for an alluring look. And a string belt is covered to slim as well as to elongate the waist.